Automatic Hub Cleaner, originally uploaded by [Zakkaliciousness]. You see these things on bikes all over Copenhagen. We were wondering if anybody else out there uses them? 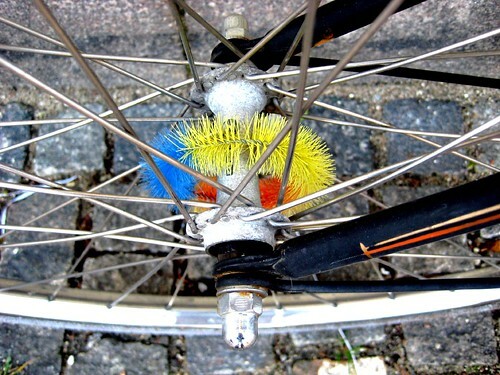 At some point in time somebody clever took a dishwashing brush and bent it in a circle. Now you can buy them specially made for bikes at bike shops. tags: "bike accessories", "bike culture"